ROBERT RAUSCHENBERG RARE FABULOUS BEAUTIFUL OFFSET LITHOGRAPH PRINTED IN COLORS. Hand signed and numbered in pencil. Artwork is in excellent condition. Certificate of Authenticity included. Comes with FREE custom wood frame with red and black matting. Frame size is 40x33". 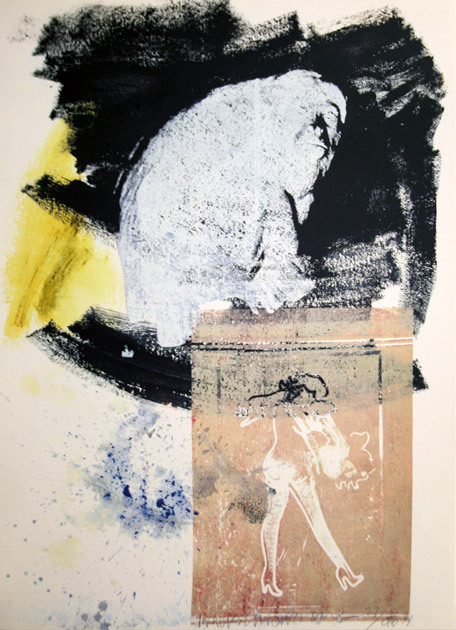 Click the button below to add the Hand Signed Poise By Robert Rauschenberg to your wish list.